Bonnie’s Grill in all its glory. If you’re looking for good food, cheap booze and blues, look no further than Bonnie’s Grill. 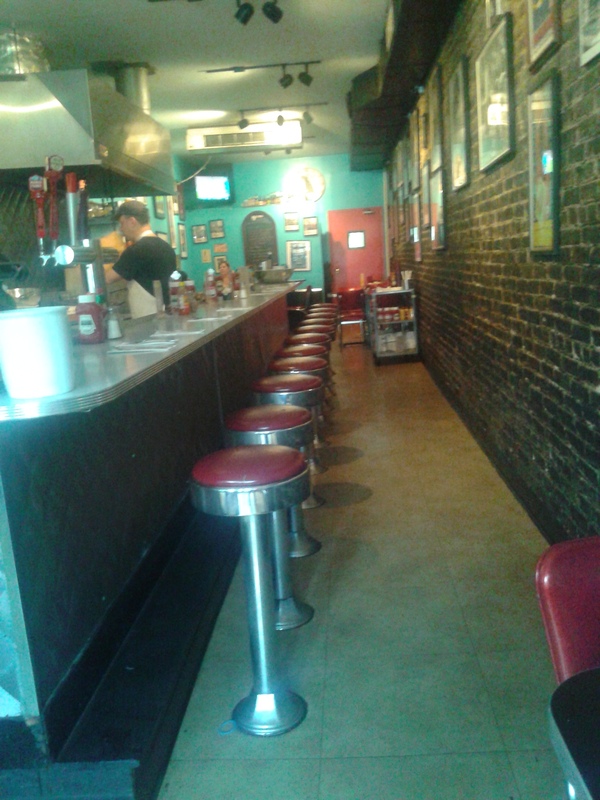 Located on 5th avenue and 1st street in the Park Slope section of Brooklyn, New York; the humble eatery is a narrow hole-in-the-wall type of place surrounded with pictures of both blues and southern rock legends. Bonnie’s Grill features some great wings fried to a crispy perfection, covered with four different sauces of choice – each boasting a different level of heat. If you want a nice, tangy punch then go for BBQ or the medium sauce. If you’re looking for punishment, then go for broke with hot or hotter. While one of the more traditional selections at Bonnie’s are their ribs, Applewood pork dogs and burgers (a juicy slab of Angus sirloin chock full of flavor), they make one hell of a pulled pork sandwich – served with your choice of fries, salad, soup, chili, or some spicy coleslaw for that extra kick. The different spices, juices and textures complement each other in the supreme way that only Southern cooking can. Bonnie’s also features a soul fueled brunch menu on the weekends complete with chicken and waffles. One of the more unique features of Bonnie’s Grill is the old-timey homage set by their display. Pictures of Roy Orbison, Robert Johnson and Elvis Presley adorn the walls of the neighborhood haunt. Bonnie’s Grill also has an impressive beer menu ranging from craft, local and your standard domestic suds to bring it all home. When it all comes down to the nitty-gritty, Bonnie’s Grill has you covered. With Southern style cooking, great beer and a little piece of Rock ‘n’ Roll, you simply can’t go wrong. 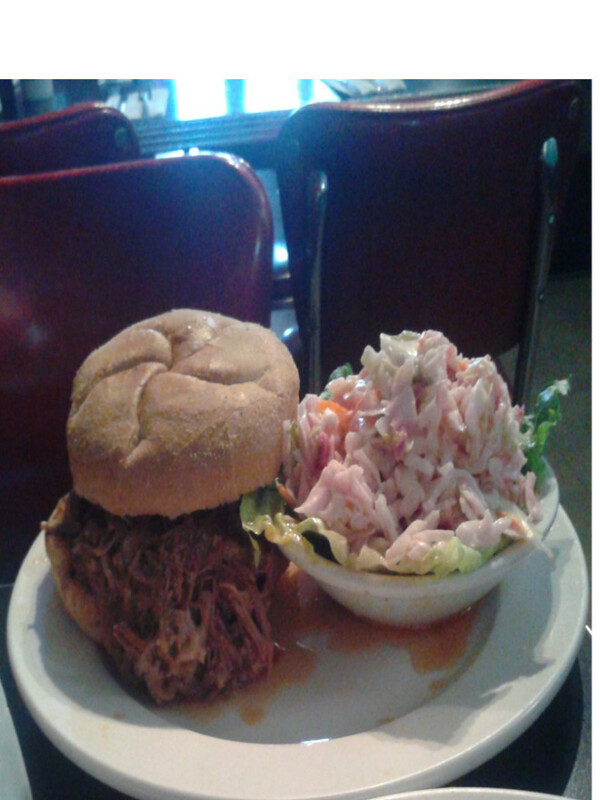 Bonnie’s pulled pork sandwich with an ample serving of their spicy coleslaw.